alaTest har samlet og analyseret 1327 anmeldelser fra magasiner og hjemmesider. Folk kan virkelig godt lide brugervenligheden. Også størrelsen imponerer, men anmeldere er mindre positive med hensyn til forbindelsesmulighederne. Vi analyserede bruger- og ekspertratings, produktalder og andre faktorer. 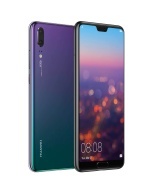 Sammenlignet med andre Mobiltelefoner får Huawei P20 en samlet alaScore™ på 94/100 = Fremragende kvalitet. 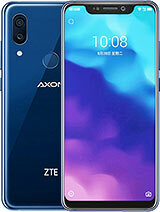 A fantastic smartphone for everyone except those who will be happy to pay the extra for the P20 Pro’s additional optical talents. Attractive design. Powerful Kirin 970 processor with dedicated AI chip. Machine learning powers automatic photo scene recognition. Not officially available in the US. Pricey. Glossy body attracts smudges. It has the Huawei P20 Pro's night mode, but costs you hundreds less. The Huawei P20 takes terrific low-light photos from the dual rear camera, comes in some astounding colors and is small enough to use with one hand. Like the P20 Pro, it lets you hide the default screen notch many Android fans hate. Why is the P20 only splash-proof, but not rated water-resistant like the P20 Pro? There's no headset jack. You won't be able to buy it in the US. A great Android all-rounder that borrows a little bit too much from its rivals. Huawei's super-smart 2018 flagship phone is a seductive blend of gorgeous hardware and intelligent software, which makes for a very satisfying everyday experience. Here's our full Huawei P20 review.